The town names on Long Island, New York (similar to those in New England) are derived from Native American sayings. These one-word phrases often describe the characteristics of a designated area, for instance, a "bay" or a "woodland." And while many Island towns are named from words not common in the modern English language, others hold names with English or Dutch roots. Either way, newcomers and visitors alike find it difficult to pronounce the tongue-twisting names on Long Island. But by breaking them down both phonetically and historically (and then adding your best New York accent), you'll be talking like a local in no time. A well-known reprieve in the Hamptons, Amagansett (pronounced "am-uh-GAN-set") means "place of the good water." It is said that this Island gem produced a spring from which the Native Americans would resupply their water on the way to and from a hunt. Aquebogue (pronounced "ACK-wuh-BOG") means "head of the bay." An apropos term, as this town sits precisely where the Peconic River lets into the bay. The Secatogue tribe named the northern lands in the center of the Island Winnecomac, meaning "pleasant lands," due to their flatness and rich soil. Out of this came Commack ("KO-mack"), New York, an established New York City suburban town now serviced by three major highways. Native Americans called the area near the headwaters of the Nissequogue (NISS-uh-quog) River Hauppauge ( "HAH-pog"). In the Algonquian language, it means "overflowed land." Mattituck ("MAT-it-uck"), again named after a waterway, is the Algonquian name for "great creek." This inland waterway has now been dredged and is frequented by a plethora of pleasure craft. Massapequa (pronounced "mass-uh-PEAK-wuh")—an area settled much later than other areas of Long Island—was named "great water land" by the Native Americans. Today, it is a quaint town with tree-lined streets and private beaches. Mineola ("mini-OH-luh)," a village in Nassau County, was first named after the Algonquin Chief Miniolagamika. The word means "pleasant village" and was later changed to "Mineola." 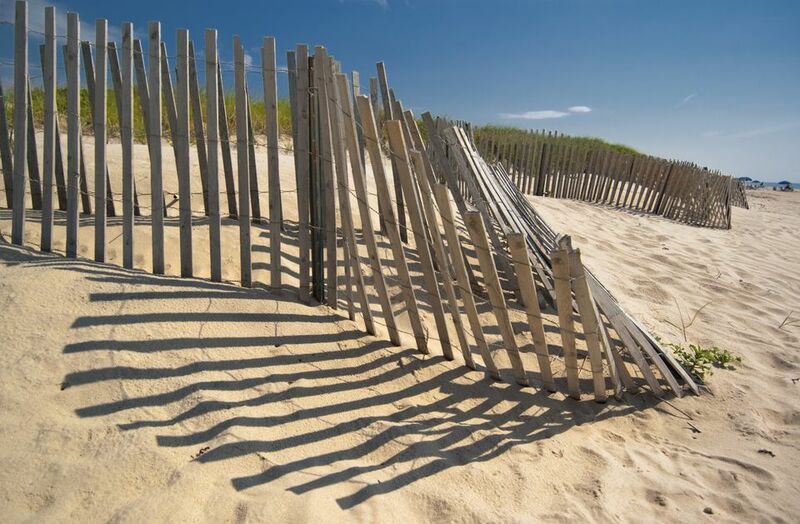 Settled in the early 1700s, Quogue (pronounced "KWOG")—a one-syllable abbreviation for Quawquannantucke which means "trembling woods"—has Native American roots. But since the long name was difficult to pronounce, it was later changed to Quogue. Sagaponack ("sag-uh-PON-ick") comes from the Shinnecock word for "land of the big ground nuts." And while some settlers think this refers to the plentitude of potatoes grown in the fertile ground, it really refers to the American groundnut, also a highly palatable, yet wild, tuber. Wyandanch ("WHY-an-danch"), named after the Montaukett Native American Chief Wyandanch, means "a wise speaker." Once named Half Way Hollow Hills, this southern slope of a terminal moraine was given its name by the Long Island Railway in 1903 to honor the chief. Asharoken (pronounced "ASH-uh-RO-ken") was named after a twentieth-century development. This narrow strip of land (or isthmus) connects the village of Northport to Eaton's Neck. The hamlet of Bohemia ("bo-HE-mee-uh")—located in the town of Islip in Suffolk County—was named after its original founders. The immigrants came to America from a village in "Bohemia," now currently known as the Czech Republic proper. Ronkonkoma ("ron-CON-kuh-muh"), a hamlet of the town of Islip, is named after Lake Ronkonkoma and sits smack dab in the middle of the Island. It is home to New York City's regional McArthur Airport. The Old English name Shoreham ("SHORE-um") refers to a Long Island town that dates back to Colonial times. This North Shore town lies 70 miles east of New York City and boasts a tight-knight community of Long Islanders. For over half a century, locals have debated the origins of the name Syosset ("sigh-OSS-ett"). Some say it's Native American in nature (similar to many neighboring villages). Others argue its roots are Dutch, saying Dutch settlers who called Oyster Bay "Schout’s Bay” changed it to Syosset due to the difficult pronunciation. Yaphank (pronounced "YAP-hank") gives reference to a creek in the original town deed. Millville, however, was the town's very first name. But since thirteen other towns in New York were blessed with the same name, Yaphank became the consolation prize.